Erosion of the lava fields around Lotogaga has created a series of tidal pools, the largest of which is To Sua (meaning "Big Hole"). 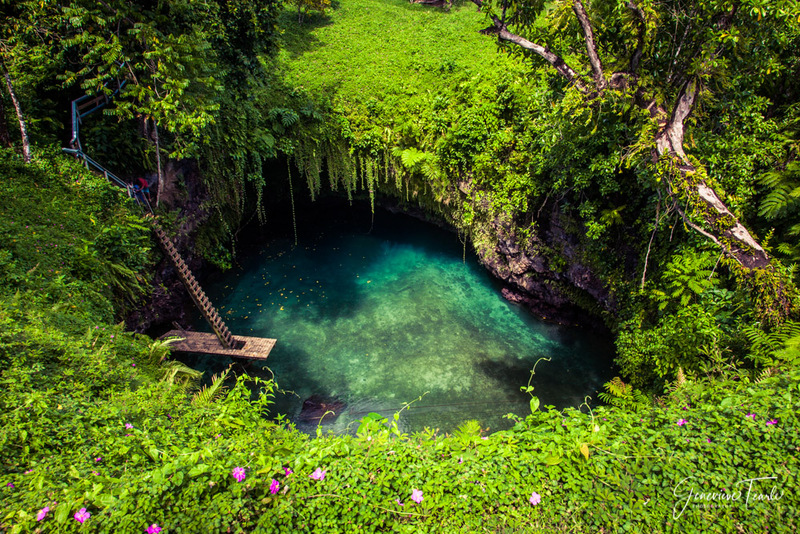 A stunningly beautiful spot on the island of Upolu (the main island) of Samoa. You can clamber down the 30m ladder into the tidal pool, and swim with fish in peace and serenity.